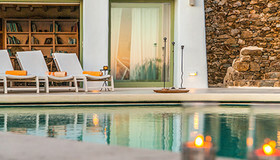 A luxury Villa Holiday for less than £39/night? Because we work directly with the owners, you won't find our properties cheaper anywhere elsewhere - we guarantee it. 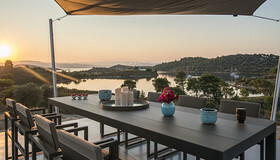 From huge discounts to magical little extras, there's usually something to make a villa holiday in Greece even more tempting. Here’s a selection of our favourite villas in Greece, which we think are just stunning (and great value). Trust us, we've visited each & every one of them! No time to browse? 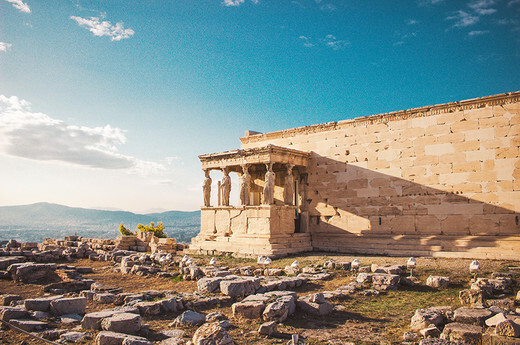 Just fill in this simple form and our expert team will send you a shortlist and help you tailor your Greek holiday to the last detail. 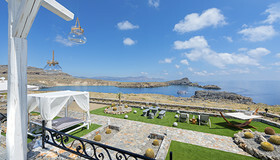 Looking for a romantic week away to the Greek Islands? 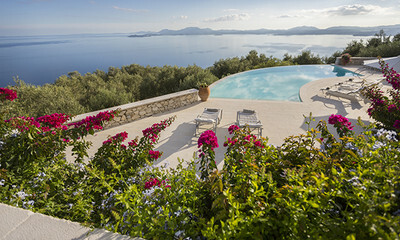 Check out our Greek villas that are best suited for couples. 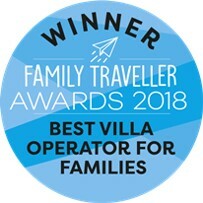 Browse our self catering Greek villas with pools that make for a fantastic family holiday for all ages. 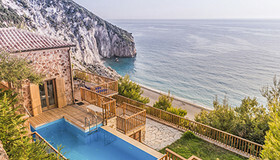 Famous for its pristine sand & cobalt blue sea, these beachside Greek villas allow you to listen to the sound of the waves with glass in hand. 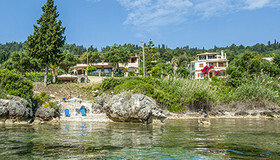 From Corfu to Crete, we've got it all! 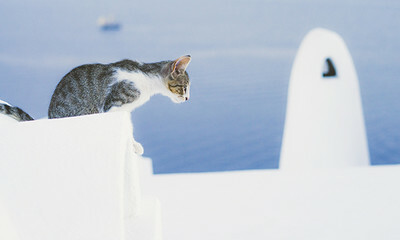 Ahhh, villa holidays in Greece. Makes you relax just thinking about it, doesn’t it? Cobalt blue waters, olive groves and a pace of life that defies the 21st Century. 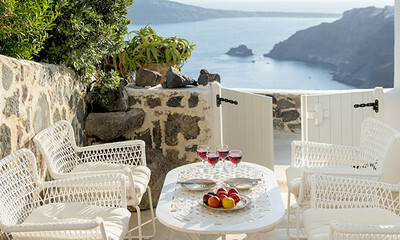 Whether you come to feast on feta and fresh produce on the terrace of your self catering villa, set sail around the islands or just to soak up the Mediterranean sun at one of our villas, you know that by the end of your stay you’ll be so laid back, you'll be almost horizontal. It may have that rustic feel, but that doesn’t mean there aren’t some truly spectacular holiday villas in Greece. 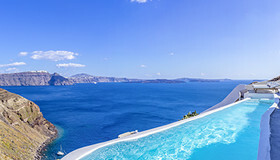 Dazzling white villas clinging to the side of cliffs, traditional houses with their blue doors & secluded courtyards, and oasis-style mansions complete with a private staircase to the lapping water below. At Oliver’s Travels, we’ve got them all. Why book with us? Every one of our villas in Greece has been hand-picked for its individuality & comes with a private pool & air conditioning. We don’t do ordinary – we excel at the exceptional. 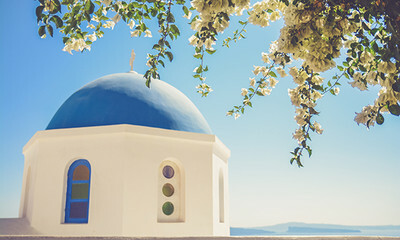 Our goal is to help you plan the sort of Greek holiday that stays in your fondest memories for years.